Prego which means ‘You are welcome’ in Italian surely gives an inviting vibe with the warm and lively ambiance. As the wooden door opens, you would walk into a chic decored set up with aesthetic lights. That’s what you will see at the first glance of the Italian restaurant Prego in The Westin. So, if you are the one to be fooled by looks, Prego would be a flavoursome surprise for you. 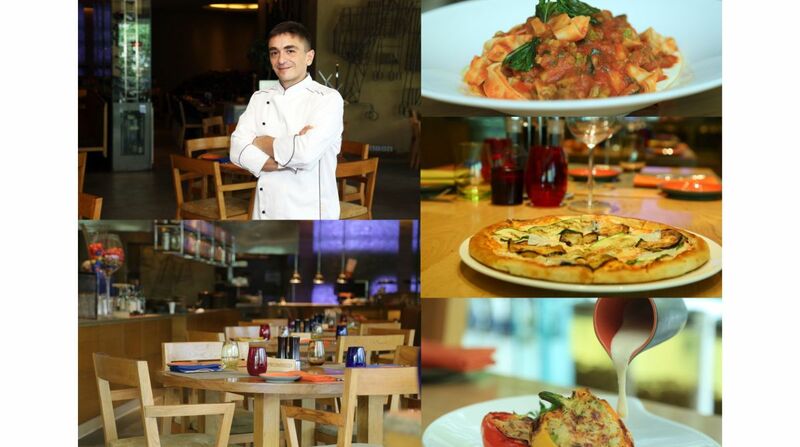 Prego which means ‘You are welcome’ in Italian surely gives an inviting vibe with the warm and lively ambiance. As the restaurant looks rustic yet refined similarly the food served has no frills but a treat for your taste buds. 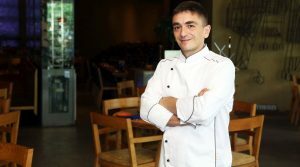 Keeping in mind the seasonal taste, Chef Emiliano Di Stefano, who has 15 years of experience in crafting Italian food has curated a delish summer menu. 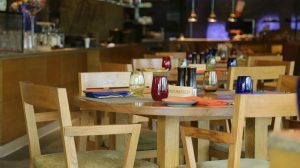 This lively restaurant should be next on your checklist if you want to feast on some delectable risottos, fresh and hand-tossed pizza, lip-smacking pasta, and signature desserts. Moving on to the assortment of flavours, here’s what I had. 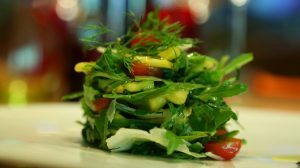 Starting off with the Rucola e mango, newly added salad to the menu has been revamped since it’s the season of mangoes and the Chef believes in using the freshest products. Made with rucola, seasonal mango, maple and balsamic dressing, crunchy pancetta, cherry tomato, it had all the elements of a good salad. The bacon did not dominate the taste and bites of mangoes and cherry tomatoes added a fresh and tangy flavour. Next was the pizza, largely popular Italian food. What I ate was Pizza Ortolana (Ortalano in Italian means ‘from the vegetable patch’). There’s no place for a heap of chicken in authentic Italian pizza, hence the classic. The highlight of this pizza was the eggplant as topping and it tasted amazing (believe it because this is coming from someone who hates eggplant). 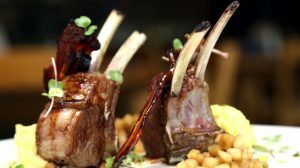 Then came the Carre’ di Agnello, roasted Australian rack of lamb, the presentation made it look so tempting, every bite was juicy and taste of very balanced spice. Served with saffron mashed potato, this is something I would suggest you to go for. 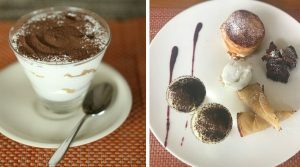 To end the feast, a range of desserts were at our disposal, being a coffee lover, I went for the Tiramisu first and it did not disappoint me. The whipped mixture had a hint cocoa but it left behind the flavour of coffee. Another signature dessert that would be a treat for a sweet tooth is the Millefoglie, crunchy puff pastry layered with custard. 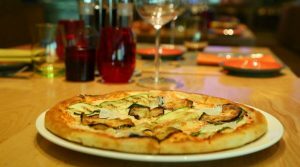 Prego is the next stop for an unfussy brunch or a lavish dinner to explore the Italian fare.